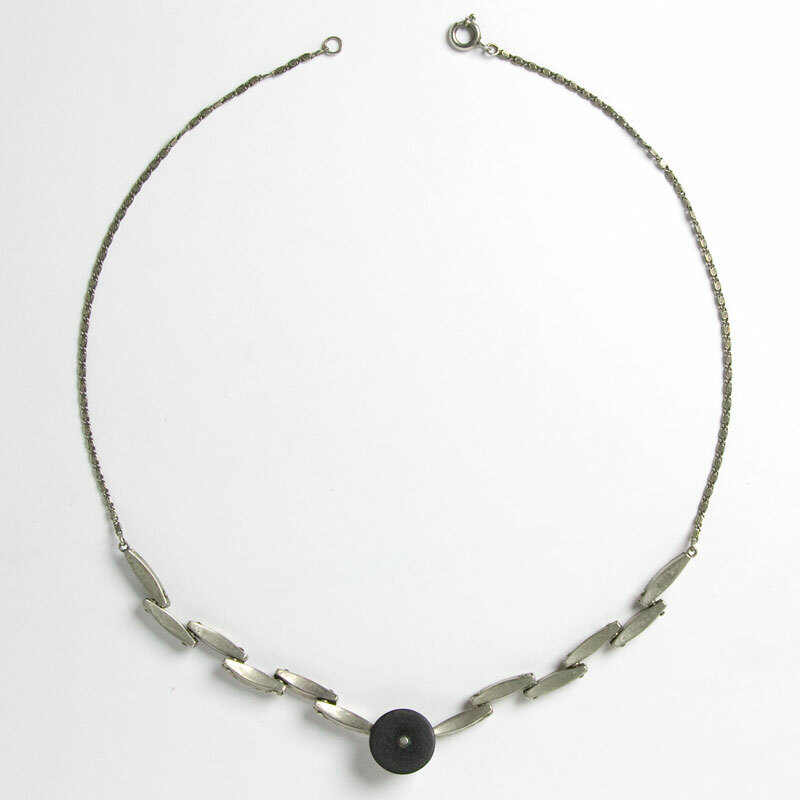 This plaque necklace made in Germany in the 1930s has tapered, curved links of diamanté on either side of a black Bakelite disk. It is topped with a large, claw-set diamanté surrounded by smaller stones. 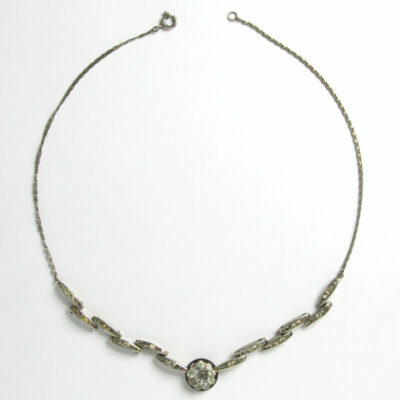 When laid out on a table, the necklace forms a wide v-shape. 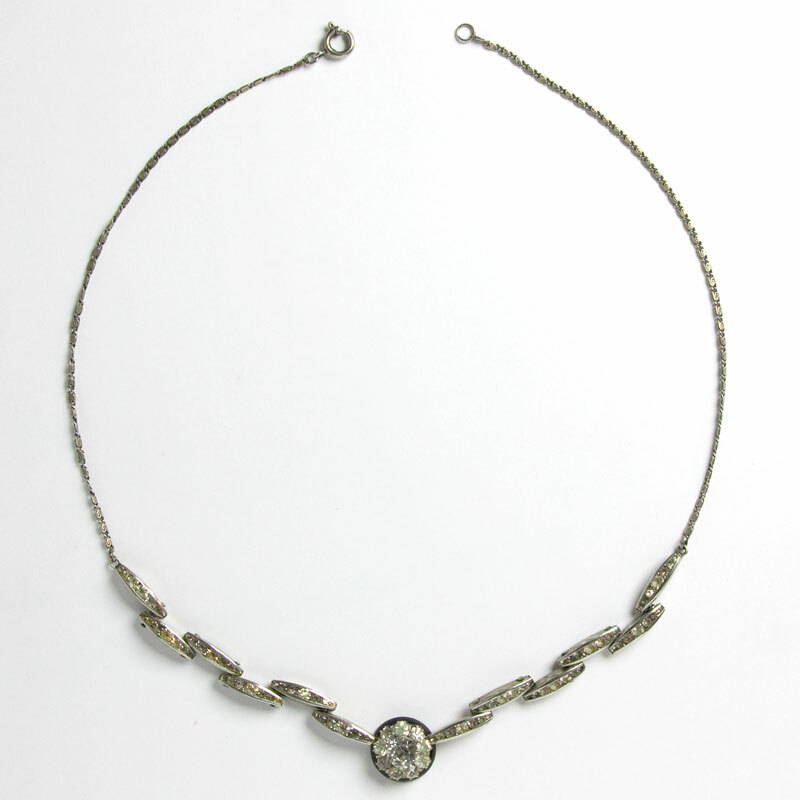 A scroll chain with a spring-ring clasp completes this beautiful piece from my personal collection. 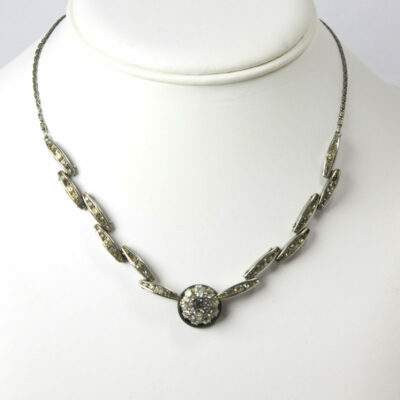 Although some stones have aged, this necklace still has lots of sparkle. 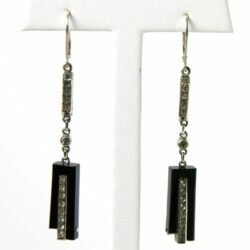 Scroll down to see a coordinating bracelet and earrings. 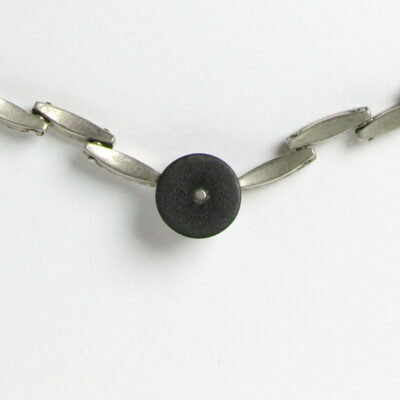 Vintage Bakelite jewelry as beautiful as this German flexible bracelet from the 1930s is hard to find. 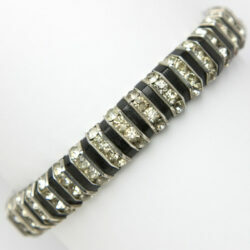 It has vertical links of diamanté alternating with black Bakelite. The stones in this piece are relatively large – only four to each flat-top link. This Art Deco bracelet closes with a concealed clasp. Because one of the markings is "Patented" (an English word stamped by a German maker), I think this bracelet was intended for export. 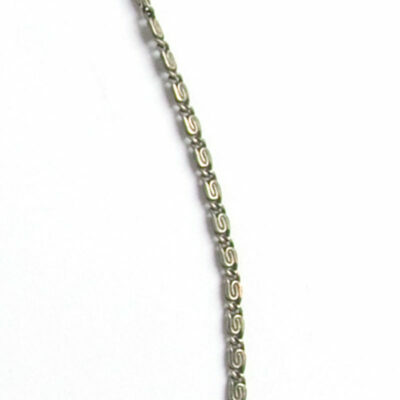 Scroll down to see some necklaces and earrings that complement this sophisticated, yet easy-to-wear piece. 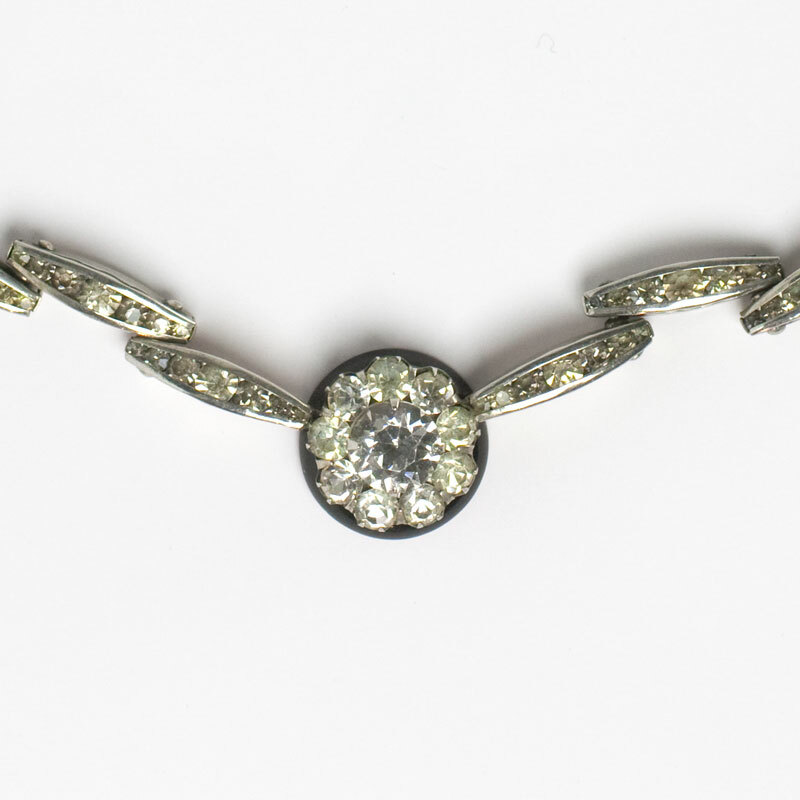 At the top of these 1930s earrings is a link with engraved sides that holds seven diamanté. 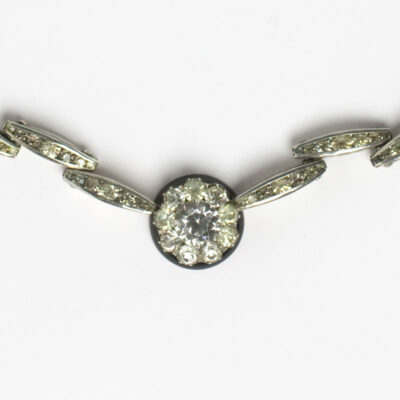 At the bottom is another diamanté -set link flanked by black Bakelite on three sides. In the middle is a single stone. Each earring has a small chip of Bakelite at the bottom, but that minor flaw in no way detracts from their beauty. The original ear clips were converted to sterling silver ear wires with lever backs for pierced ears by my expert jeweler. Scroll down to see two necklaces and a bracelet with the same materials by the same maker.